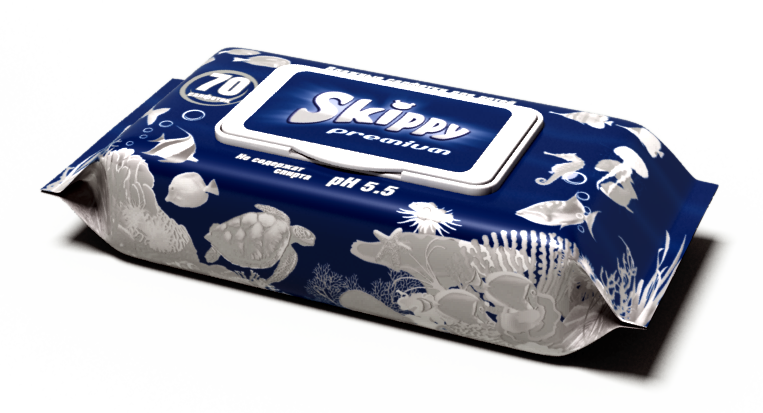 Skippy Aqua – wet wipes made of high quality material with increased density of 40g/sq.m. Sized 15 cm x 20 cm. 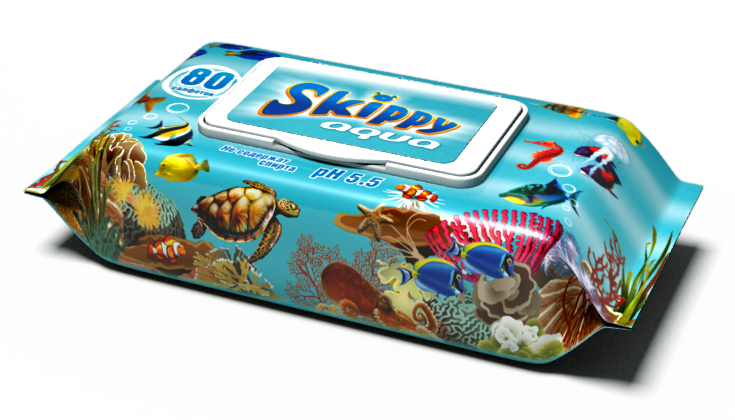 Skippy Aqua wet wipes have a pleasant and light neutral aroma. The beautiful original packaging with a plastic cover contains 80 wipes. 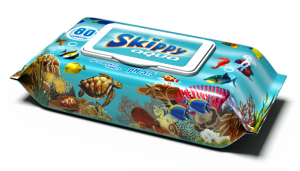 Skippy Eco – economy wet wipes, sized 15 cm x 20 cm, have a pleasant, light, and neutral aroma. They are packed in a fun looking package without a plastic cover, 72 pcs/pack. 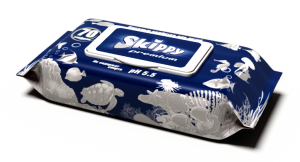 Skippy Premium – premium class wet wipes, sized 15 cm x 20 cm, made of high quality materials with the high density of 50 g/sq.m., have a pleasant and elegant aroma. The perforated surface provides additional comfort in use. These come in an eye-catching package of 70 pcs in each one. 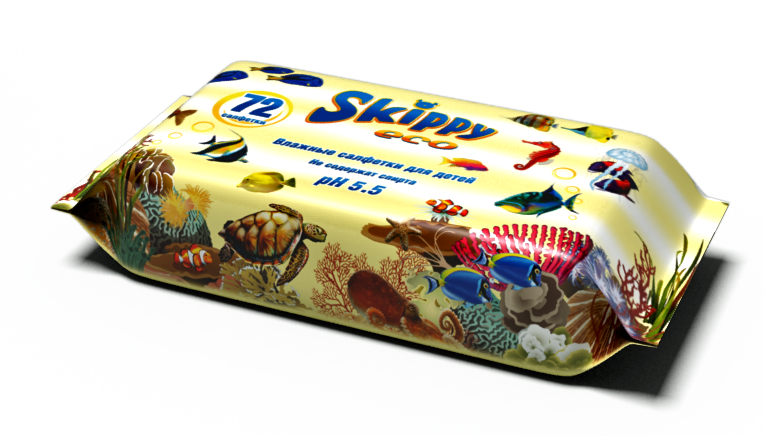 OOO “TDM Impex” manages the professional development, contracted production and wholesale of high-quality economy class hygienic products for child and adult care under its own brands Skippy and Dr. Skipp, detergents and super-concentrates Corat, as well as wholesale supplies of hygiene products of other manufacturers. All ranges of our hygienic products have been specially designed and crafted to meet the demands of the individual Central and Eastern European markets that we operate in. The quality of our products is on par with various leading premium international brands. We manage to accomplish this while simultaneously offering our products at significantly cheaper prices. We use the same manufacturing facilities as various worldwide leaders of the hygiene market, such as Kimberly Clark (Huggies, Depend), SCA group (TENA, Libero), and Unilever. The highest standards of the technological processes are combined with strict quality controls to guarantee the highest quality of our products. We are looking for new markets and business partners, and invite you to review this catalogue and widen your shelf assortment with our products. We guarantee fast and robust sales with no quality issues. Unit 14 (5th floor), office 28. 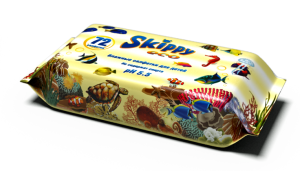 Trademarks and logos TDM-Impex, Skippy, Dr. Skipp, Corat are registered in the State Committee for Science and Technology of the Republic of Belarus "National Center for Intellectual Property"